Skiing in Colorado is one of the best winter activities one could imagine. If you're in or around Denver, these are the best spots to glide down the mountain. Buy your lift tickets on the Front Range in or around Denver at King Soopers grocery stores—they sell discount lift tickets for most ski areas at their customer service desks. While prices vary throughout the season, die-hard Colorado skiers know that this is almost always the most budget-conscious way to enjoy the slopes. Winter Park Resort, owned and operated by the city of Denver, is nestled at the base of the Continental Divide at the east end of the Fraser Valley. 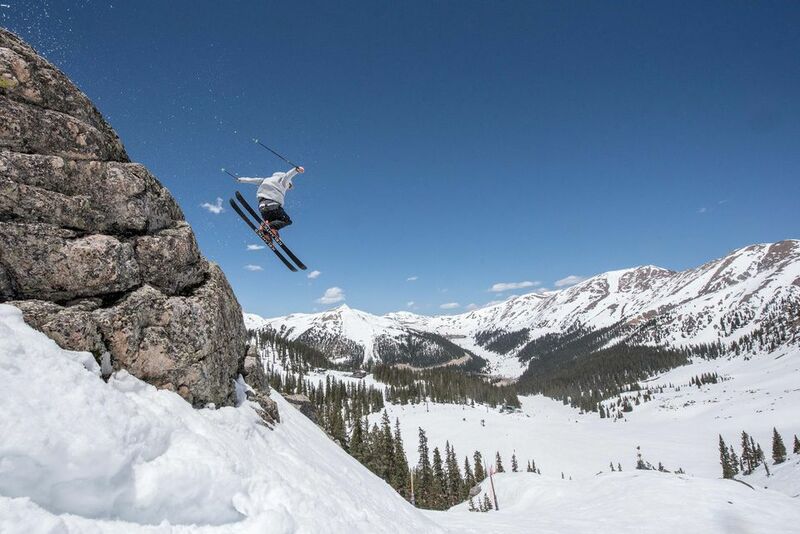 As the closest major destination resort to Denver, Winter Park offers easy access to skiers arriving at Denver International Airport from hundreds of domestic and international points. Just two hours from the airport, the surrounding mountain expanses and breathtaking scenery at Winter Park give visitors the impression that they are far away from the hustle and hassle of city life. Looking for excellent skiing conditions? Winter Park Resort boasts 350 inches of annual snowfall. However, just because you can count on good snow doesn't mean you should expect to ski in blizzard conditions. On average, Winter Park has 106 days of sunshine during the ski season which means approximately 70 percent of the season is sunny! Many first-time visitors are surprised to discover Winter Park's vast terrain. The three interconnected mountains and high alpine bowl are spread out over 134 designated trails on 2,886 acres served by a network of 20 chairlifts. Winter Park's variety of terrain caters to every ability level. The 30-acre Discovery Park is the ideal spot to learn and practice the basics of skiing. When skiers are ready to move on, Winter Park mountain and the Vasquez Ridge offer miles of wide-open intermediate trails for laid-back cruising. For advanced and expert skiers seeking the ultimate challenge, the renowned steeps and moguls of the feisty Mary Jane mountain provide long thigh-burning bump runs, vertical chutes, and precipitous glades. The area’s newest hotel, the Winter Park Mountain Lodge, is located across from the base of the Resort. The lodge offers Winter Park’s only microbrewery and captures the grandeur of the Rocky Mountains and offers awe-inspiring views at an exceptional value. Sixty-eight miles west of Denver, in Summit County, Colorado, you’ll find the spectacular Arapahoe Basin, known as A-Basin to locals. This over 60-year-old legend offers the highest skiable terrain in North America. Half of the mountain is above timberline with open bowl skiing and snowboarding through spring and often into early summer. One of its signature runs, Pallavincini, is one of Colorado's longest and steepest trails. Arapahoe Basin has some of the best ski deals for beginners in the state. Just 35 miles from downtown, Echo Mountain is Denver’s backyard ski and snowboard area. You'll be skiing and riding in less than an hour’s drive from just about anywhere along Denver's Front Range. Echo Mountain offers the most affordable skiing and riding in Colorado, including the cheapest season pass (with no restrictions and no blackout dates), the lowest daily ticket price around, and free close-in parking and public WiFi. But just because it’s cheap doesn’t mean Echo Mountain doesn’t deliver amazing ski conditions for skiers and riders of ages and ability levels. A favorite among locals due to its convenient location—only 21 miles from Boulder and 47 miles from Denver—Eldora Mountain receives 300 inches of snow per year. Eldora boasts Colorado's best snow-making system. Coverage is 100% of groomed terrain, more than any other resort in Colorado. Eldora also holds the distinction of being accessible via public transportation—you can take the bus from Boulder up the mountain for a mere $4. Downhill action isn’t the only snowbound fun you can have this winter. The legendary Rocky Mountain National Park, located just an hour from the Mile High City offers spectacular snowshoeing and cross-country skiing options that will take you to some of the most scenic and serene spots in all of Colorado. Rent cross-country skis and/or snowshoes in Denver and take the short drive up to Rocky Mountain National Park—you won’t regret it. Check with rangers at visitor centers for info on the right trail for you.